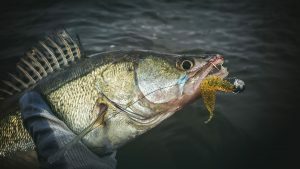 Saginaw Bay Area only a few boats had been out from Linwood but those making it out did catch some walleye in 15 to 17 feet when trolling body baits. East of Bay City and up into the Thumb, perch fishing in the rivers and cuts was hit-or-miss. At the Thomas and Allen Cuts, the Sebewaing River and on up to Bay Port fishing was generally slow. Very few perch were caught in Mud Creek. 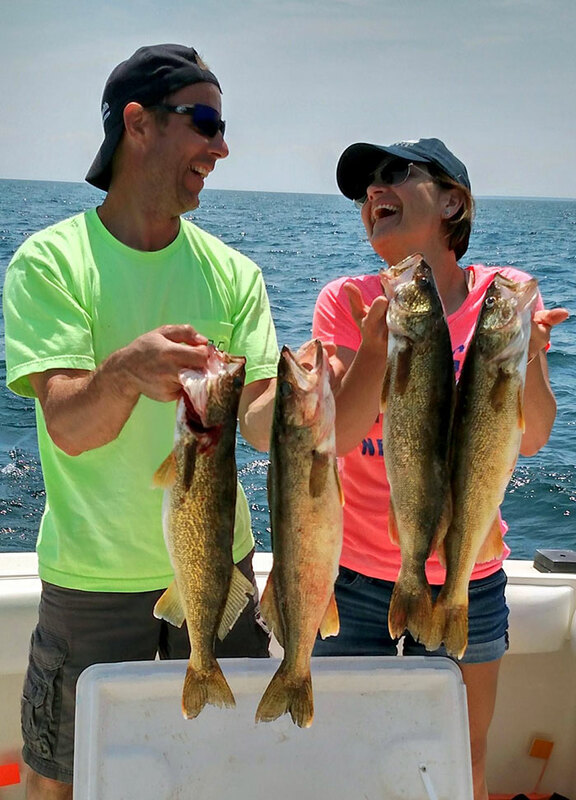 At Caseville, some lake trout were caught in the marina basins but perch fishing was slow. Saginaw River yellow perch fishing in the lower river and just off the river mouth was phenomenal with limit catches of 25 fish the norm. A lot of the fish were 12 to 14 inches. Minnows on a perch rig without beads seemed to work best. Perch anglers were shore fishing at the Cement Plant in Essexville and at Smith Park. Bad weather and windy conditions will slow fishing once again. Au Gres River steelhead caught in the lower river down near the Singing Bridge. Shore anglers were drifting spawn sacks in the river or floating spawn in the surf. Rifle River sucker run was starting to come in at Omer. Hook and line anglers were doing well, but dip-netters had spotty success. If the suckers are in at Omer, they should also be moving into the other local rivers including the Shiawassee, Cass and Flint. Perch fishing in the lower Pine River near Standish was still slow but those using worms caught a few suckers. Tawas Area pier anglers caught a couple Atlantic salmon, walleye, steelhead and brown trout when casting hardware or still-fishing with minnows. 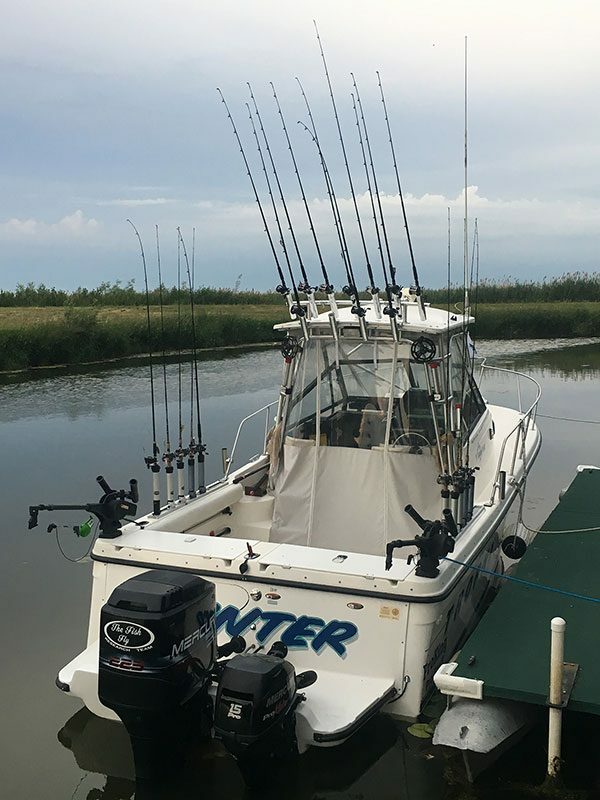 Not many boats fished out of the river mouth but the few that did went down toward Alabaster and picked up some lake trout and walleye when trolling body baits in 15 to 25 feet. Tawas River anglers caught a few steelhead and some suckers. The month of April is often a perfect time to fish for steelhead in Michigan’s rivers. Did you know our state is thought to offer some of the best steelhead fishing in the country? Want more information on spring fishing in Michigan?